Hi Guys, A lot of my shipments were being held by UPS and FedEx so there are quite a few new items to report this week. 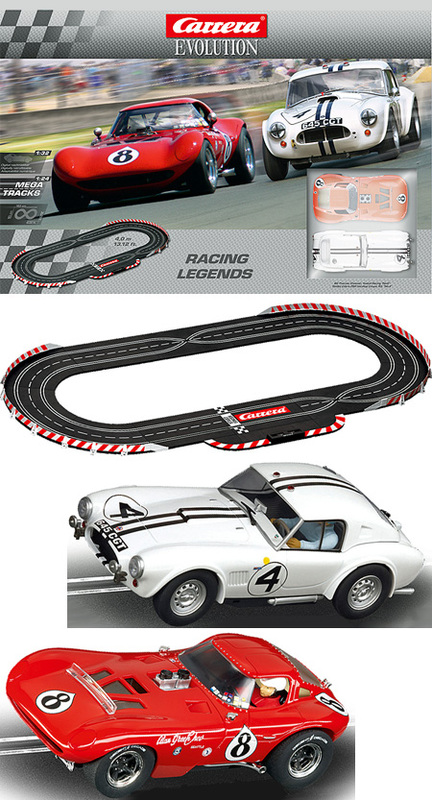 A great iconic British sports car for the Scalextric classic car enthusiast. This version is modelled on the team car sent to the USA for the Sebring 12 hour endurance race in 1964. The Ford GT 2004 is a modern version of the Ford GT40 from the 1960s. The car now regularly appears in today’s GT championships around the world. © 2012 Lucasfilm Ltd. & TM. All rights reserved. Both bikes have a light up LASER CANNON!! How cool is that! Both cars are in stock.